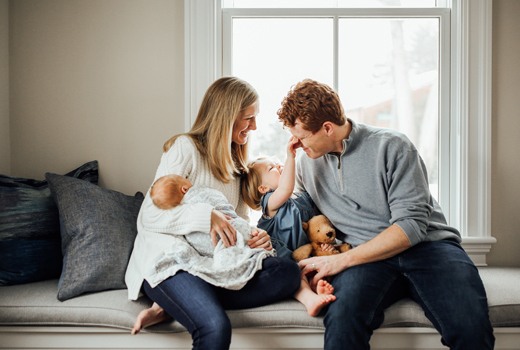 Congressman Joe Kennedy is carrying on his family’s legacy in politics and making a name for himself as a champion of the underdog. On Tuesday, January 30, he will deliver the Democratic rebuttal to President Trump’s State of the Union. 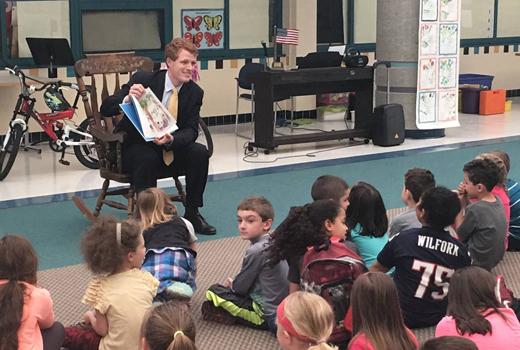 Could he be a future President himself? 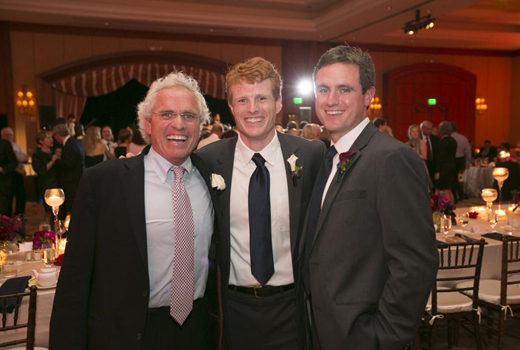 Congressman Joseph Patrick Kennedy III wears his illustrious family tradition lightly. When you are the latest big hope of the most famous political family in America you might well be weighed down by the responsibility. It has certainly happened to some in his extended family. 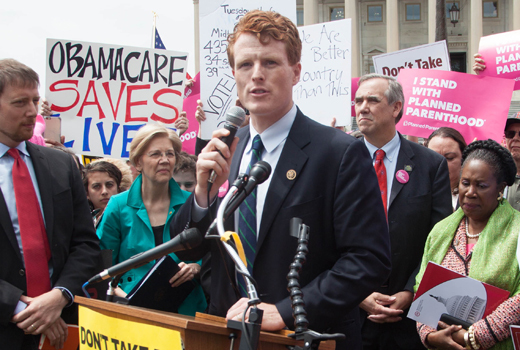 Joe, as the Democratic representative from the Massachusetts Fourth District prefers, seems different though. There’s a bounce in his step, a gleam in his eye, warmth in his handshake. 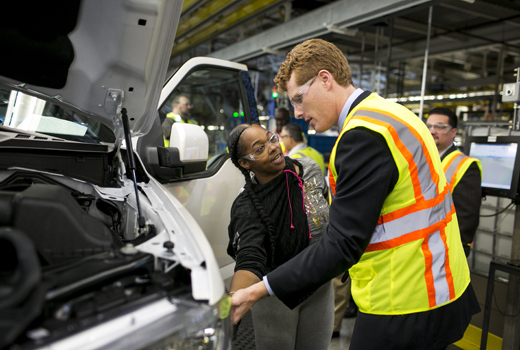 He loves this job and is not cowed by who in the family came before beyond acknowledging their legacy: RFK was his grandfather; JFK and Ted his great uncles; his father, Joe Kennedy II, served in the U.S. House of Representatives for Massachusetts from 1987 to 1999. It doesn’t come more legacy-driven than that. A comparison with Donald Trump is inevitable – both are descended from parents with family fortunes – yet the difference is staggering. 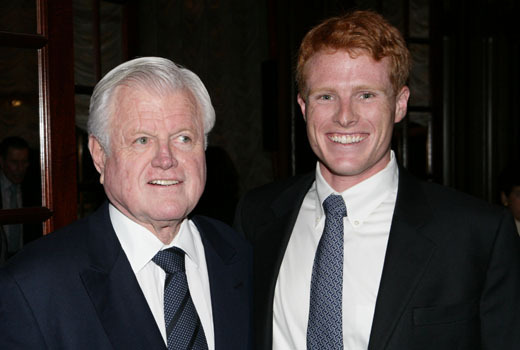 The noblesse oblige of the Kennedy family is to give back and acknowledge your debt to those who came before and fight for the little guy. For Trump, it appears to be the acquisition of more and more in some dervish dance of showing and telling the world every day how great he is. One would love to see an election between them, no matter how unlikely that may be in 2020. Still, there is no doubt a run for the White House will beckon Joe some day. At 37 he is young enough and good enough. He is smart (he graduated from Stanford University and received his J.D. from Harvard Law School in 2009), on message, and clean living (friends swear he orders milk in bars). But above all, he feels rounded, together, and genuinely interested. Our interview took place in his congressional office in Washington, D.C. prior to the announcement of Kennedy’s State of the Union response. While waiting, a slew of visitors made their way into his room. All came out smiling broadly. The Kennedy touch lives on. I just wanted to start off with the Deferred Action for Childhood Arrivals legislation. You have been very passionate and outspoken about that. What do you think will be the ultimate reality? I think we all know the right answer. We can see it in our own family stories – my family came here in coffin ships. One of the political highlights for me every year is the annual St. Patrick’s Day Friends of Ireland luncheon hosted by the Speaker of the House. 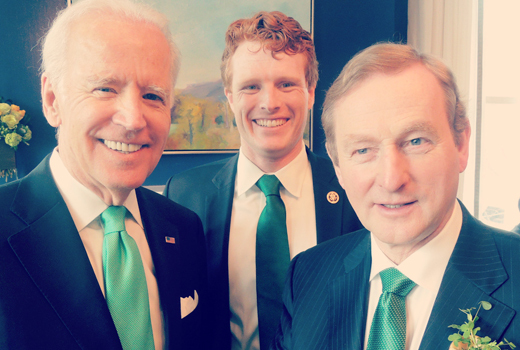 Here we are in the U.S., in the U.S. Capitol, with the Irish Taoiseach, and the President of the United States – whoever he may be – and often times the Vice-President, and the leaders of Congress. To look around the room and to see how an Irish community has evolved in America is astounding. That is how it plays out for all ethnic groups. So we know what the right thing to do is when you have people who are fleeing destitution and destruction and despair. We know what it means as Americans to live up to the values in the words enshrined at the base of the Statue of Liberty, and we know what happens when we don’t. We must not forget the story of the St. Louis, when hundreds of Jewish families fleeing WWII were denied entry to the U.S. and were later killed by the Nazis. I’ve just seen the exhibition at the Holocaust Museum. So we know what will be written about the decision on DACA 15, 20, 50 years from now. It is not a question as to what is right or wrong. The right answer is clear. It seems to be a recurring theme though. We never seem to learn a lesson. The same sentiments are being used 150 years later. We are always looking at a very human story, and our successes and our failures, times we have fallen short – interning Japanese Americans in WWII. But I continue to be inspired by those words in our nation’s founding documents, “to form a more perfect Union,” recognizing that you are not always going to get it right, but you kept striving forward. Yes. It is heartbreaking that we have to do this now. But you have people ready to do it and we know what needs to happen. The question is whether our government steps up to make it happen. What is so heartbreaking is that while there still is strong bipartisan support for programs like the Children’s Health Insurance Program, Republicans have chosen to use healthcare for kids as a bargaining chip for something else. Senator Ted Kennedy and Senator Orrin Hatch reached across the aisle and made it happen. For years – decades in fact – it was not partisan because people recognized the fact that if you are going to have a fight about something, taking it out on poor kids and healthcare isn’t the place to do it. It is just morally not the right way to go about your business as a government. The fact that you would choose to do that, the fact that you would also choose to say, “Well, we can fund part of this, but we are going to have to cut other parts of funding in order to make it happen because we just can’t afford it,” while we pass a $1.5 trillion tax bill. And then we say we don’t have money. You just gave away $1.5 trillion and your argument is that we just can’t afford it, but we will extend those other benefits as they expire years down the road, which means we are not talking about $1.5 trillion, we are talking about $2 trillion and now you are struggling over a couple of billion? It’s insane! You have become very agitated and pretty public about this in contrast to how you are often perceived as a relatively low-visibility guy on some of these issues. What changed? No one was trying to take away healthcare from 32 million people a year ago, and if they were, I would have spoken about it then, too. President Obama wasn’t about taking healthcare from people. He was trying to extend it and he did. The biggest change since I got here is the House of Representatives. The Republican-majority House passed bills that I took issue with, but they knew and I knew that they weren’t going to go anywhere with the Democratic president. Now they have actually got a chance. Now, you have a Republican president who not only is trying to govern from, perhaps, a Republican or conservative ideology – although I might take an issue with that characterization as well – but is unwilling or unable to actually engage in any aspect of bi-partisanship. That is something I haven’t seen since I have been in office, but I am also unfamiliar with anyone ever having seen it. All the conversations I overheard or participated in around my family when I was a kid were about how to move things along. Sure, you had disagreements on ideology, but you find a way. That is why this administration’s major policies, whether it’s healthcare or the budget or taxes, is so worrisome. In order for somebody to win, somebody else has to lose. In order for a tax bill for these red states to benefit, we have to punish blue states like New York, Massachusetts, Maryland, or California. In order to extend healthcare to states that didn’t take the Medicaid expansion by a political choice, we have to punish states that actually did. In order to cut a fiscal budget of made-up numbers, we have to stick it to the real poor. You had these conservative ideologists in the Republican party pre-Donald Trump who were for an open market and strong-arm defense, but there wasn’t a deliberate, “Let’s punish Massachusetts to benefit Arizona or Arkansas.” That is what we are seeing now. Where does it go and where does it end up? I don’t know. Why do you think, as the President of the United States and the head of the government, that you have to favor some over the others? What do you think your uncles or your grandfather would make of this guy? I made the decision not to speculate on what folks would say when they are not here. But I think if you look at the values that members of my family stood for, they would be fighting this very hard. I have chuckled at the number of comparisons that I have seen made between President Trump’s tax plan and the one put forth by President Kennedy. Look at the marginal tax rates. Look at President Kennedy’s words on the Soviet Union and Cuban Missile Crisis and what he said about the Alliance for Progress. Look at what he did for civil rights. Look at what he did for the Marshall Plan engagement. Look at what he did by inspiring one generation. He recognized that we are going to be in the international global debate about communism versus capitalism; we need to leverage other countries and relationships to build this network up. Do you worry that people are too confident that Trump will be easily defeated in 2020? Yes. I would challenge anybody who thinks that they can predict what is going to happen in November of 2020. The fact is, nobody knows anything. What I do know is that a debate about the vision and values that define this country and what it means to be American, what it means to be a member of our community here, as a nation, what it means to be, still, the sole superpower leader of the free world, will take place. Does the American public believe that Trump will continue to be a better steward of the values that have defined the United States as against the Democratic alternative? That is a choice, and it is ultimately up to Democrats to be able to articulate their vision. That has nothing to do with Donald Trump. We know who he is. We know what he is going to stand for. We know how he is going to behave. We know how he is going to act and how he is going to govern. People are asking if you are going to run. I wouldn’t make grand plans on that; I wouldn’t hold your breath. I think the focus for anybody participating in this debate at the moment has to be, literally, what can you get through and what can you do today to make sure that the values we hold dear, the responsibilities of government – that the government continues to meet those responsibilities, and that we continue to look out for each other every single day – that you fight for those things. I am up for reelection this year, and my focus is on making the case to my constituents back in the Fourth District of Massachusetts that I have been honored to serve them and I would like to continue to serve them. If I am fortunate enough to be able to do that, I will continue to make a case as to what Democratic values and visions are for domestic and foreign policy, what it means to be responsible citizens of this country, to hopefully help us win back the House of Representatives and, if possible, the U.S. Senate as well in 2020. If we are able to win one of those houses of government back, it does change the dynamic of debate for the last two years of Donald Trump’s first term. What do you think happened to this country? An African American was elected president, and eight years later, we end up basically electing a racist? Do you think Trump is a racist? I struggle to come up with any other definition for what he has said, for the words that he used. Do you think he is clever like a fox or is he just stupid? I am not going to get into his mind. It is not for me to do. A lot has been written and said about that election in 2016. I think Secretary Clinton would have made a great president. She had extraordinary strengths and some challenges as a candidate. What I think we have to recognize is that for parts of this country, people were struggling in the ways that a lot of people didn’t recognize and, to [Trump’s] credit, he spoke to that. He went to places where people didn’t think he needed to go and crowds showed up. People listened to him. He spoke at their level. He saw people. And yes, he said and did and engaged in some things that I think are absolutely abhorrent and contrary to the values of this country that we have to recognize. But while the country is doing well economically at the moment, and yes, we set record after record, and yes, unemployment is almost four percent, there are an awful a lot of places across the country that are struggling. Essentially, you have to frame that election as a shock to the system – one in which an awful lot of folks said, “Hey, the system is not working for me.” And that is not just the post-industrial communities in the Midwest. Donald Trump got a million votes in Massachusetts. Am I going to sit there and say that every voter who voted for Donald Trump is a racist? No, because they are not. I do think that means soul-searching for a lot of us, because there are awful a lot of folks who voted for him and didn’t vote for our candidate who we thought they would. We are not going to win them back unless we say we’ve got to do a better job listening and responding. Do you think there is the opportunity to pick up the House majority? I hope to be able to do everything I can. At the moment, I do think that the House of Representatives is in play, and if I can be helpful in winning some of those seats back, I certainly would like to be. You and your dad are the first father and son we have featured on our covers. What did you learn from him? Oh really? I think one of the biggest lessons I have taken from my dad is the fact that people need to be treated equally. In this job, it is extraordinary that you get to meet world leaders and that you could also talk to almost anybody walking on the other side of the street, somebody sitting in the bar, somebody on the bus stop, somebody in the homeless shelter. If you are going to do this well, you treat every single person the same, because people are people. Did he encourage you to run because it is a tough game? I get that question a lot. My family, mom and dad, my brother, too, advised me not to. My brother had helped run Senator Obama’s primary campaign, so he has been around, and he helped in my uncle’s last campaign in 2006, which I helped co-chair after I returned from the Peace Corps. How closely do you follow events in Ireland? I follow them pretty closely. Have you met the new Taoiseach, Leo Varadkar? I haven’t. I hear he is very impressive. I’d love to meet him at some point. I haven’t traveled internationally since we started our family, although I was in Ireland in August 2014. My wife and I were there for 10 days or so and had a wonderful time. I had been in Ireland before, but it was the first time I got to spend a fair amount of time there. I didn’t want to make it as an official political visit, because I wanted see Ireland as a tourist. We rented a car and spent a couple of days in Dublin and then drove around. Some had suggested that I go to the family farm and the owner now, a fifth cousin I think, said, “How many of you are here?” And I said, “It is just me and my wife” and he said, “Come on up here!” So we went. Obviously, for me to be able to walk around the place that generations of my family called home and spend some time going through Cork and Kerry and Galway and Dublin – it was outstandingly beautiful, and people were kind and outgoing and engaging. Does it bother you when you see Irish Americans who forget that struggle and say Donald Trump is right? I think at some point all of us have to acknowledge and understand our own histories. If there is one consistency, it is this human vulnerability and it’s these cycles where we blame others. And at some point, almost everybody else gets blamed for something. I remember my dad telling me stories about when he was a young kid and he was out playing with his older sister, and my great-grandmother Rose called him inside and he thought he had done something wrong, but she just brought him into the back of the house and pulled out a folder and took out all these clippings about Ireland. My dad told me that story so I, too, would never forget where we came from and the struggles others before had to go through so that we can enjoy a better life. I think the Irish have this extraordinary story of perseverance, of resilience, of struggle, of faith, and it is ultimately a very good story. It is an inspiring story, but it is a struggle. I found great strength and great resilience, but also great empathy and sympathy in that story, because the Irish are one of the few nationalities at the moment that can actually give voice to some of the predicaments we see playing out across our country. They can talk about what happens after you persevere and get through it. The fact is, you can find an Irish bar in any corner of the country. I was in the Peace Corps in the Dominican Republic, and everywhere I went there were Irish. I studied abroad in Spain for a semester in college and we American students gathered one evening just to be together and went to the Irish pub. The Irish are everywhere because they had to leave. We do build communities very, very well. I think that strength, that perseverance, that resilience, that suffering, gives a profound sense of empathy and community because you got through those hard times because of community, because of family and faith. So tell me, do you really think there is a chance Trump will get reelected? Yes, absolutely there is a chance. I think that anybody who says there is not is not paying the attention to the past year and a half. I think that I, and many others, had underestimated candidate Donald Trump. And I think a large part of our country continues to underestimate him in terms of his ability to dominate the news cycle and appeal to some portion of our country and win votes. Can I make an argument that he is going to be very tough in 2020? Yes. Could I also make an argument that our country is going to be in such dire circumstances three years from now that he is going to be presiding over our lives in a way that we haven’t seen in decades? Democrats will be doing our country a great disservice if we wait to allow that choice to be set by Donald Trump. The question ultimately posed to the American electorate is: is Donald Trump qualified now for reelection? And by then saying, “You have now seen and heard what a four-year Trump administration is. You know what four more years of his government is going to be. Here is an alternative and this is what we believe is a better pathway to be the leaders of free world and better stewards of our people.” That is on the Democratic party to come up with that articulation of values and vision. I am not waiting for the current leaders of our party – House, Senate, others – to try to come up with our message that I think we all know. I think it is on every single Democrat who is elected at every single level to try to come up with a message that you think resonates with your constituents. I think that it is undeniable that essentially what Donald Trump spoke to was, by large, a segment of our society that for a generation or two, a generation ago, was able to have a comfortable pathway to middle-class lifestyle. We know that the engagement the United States had in and after WWII has been our role model, but we have not invested in infrastructure and education clearly as well, or as much as we needed to, as a means to preserve it. The international system the United States set up, yes, accrues to our benefit. But that system has pulled billions of people out of poverty. That is an extraordinary success story. And internationally, despite the violence we see and terrorism, we are actually seeing historical lows in the amount of violent deaths around the globe. The consequence of that – as more of these folks are coming out of poverty – is that their countries have some marked level of stability, and they have economic development that you didn’t have before. So you have got a massive amount of competition for jobs and schools and colleges and universities that didn’t previously exist for the U.S. This is what Trump pointed to and what Brexit pointed to – it was scapegoating foreign trade deals and internationalism and immigrants and other things that drive a wedge. Could the foreign trade deal have played a part in it? Yes, absolutely. Did the multilateralism played a part in it? Sure. The question ultimately is: does some of that accrue more to our benefit than the cost? Yes. Is there a cost to it? Yes. The idea that this administration is going to solve the subsidies China has by waging a trade war over solar panels or steel is crazy. And we saw that day after Brexit that some of the folks who pushed it admitted they lied – saying billions saved would go into healthcare. So the alternative the Brexit champions put forth actually doesn’t deliver on the promises made. And now the Brexit voters, like those here who voted for Trump, understand what those consequences are, because we didn’t quite fully understand it before. If you say you are against multilateral engagement, fine. But how do you expect to actually continue to build up an international system that is dominated by transparent democracy, human rights, individualism, and capitalism at a time when the greatest international threat coming on in the future is going to be state enterprises supported by the Chinese government – enterprises that will have the ability to move capital around to support those businesses and industries that are strategic to them? That, at its heart, is a question of the benefit of a communist party over an individual. They don’t treat the rights of individuals in the way that is inherent in the U.S. Constitution. A fundamental question is: do you think the United States is going to be best able to promote our values on our own, or is it better to create an architecture of international alliances that are able to continue to push that narrative based on those values and vision? And clearly it is the latter, and we need to get that message out. Thirty years from now, your new son, James Matthew, comes here and says, “Dad, I want to be a politician.” What do you tell him? As of now, I would tell him that it is an extraordinary honor to serve, that it is a serious responsibility, that you have to make sure that you are ready for it and that your family is. This job is extraordinary and unforgiving and puts an extraordinary burden on families. So you have to be willing and your family has to be willing to actually step up with you. But regardless of what I would tell him about being a politician, I would say that the legacy of what I believe my family most stands for is that we have been extraordinarily blessed. Your responsibility with those blessings is to try to make sure that you make a contribution back to your country and your planet, and you can do that in a number of different ways. It doesn’t have to be through work in the office. Niall O’Dowd is the founding publisher of Irish America, the Irish Voice, and IrishCentral. This interview has been edited for clarity and length. I’ll always feel very proud to have served in the Marine Corps during all of President Kennedy’s term in office, for he was my Commander-in-Chief for 2 years and 10 months. That period included the Cuban Missile Crisis, which was peacefully resolved and a major war was averted.